The Groundhog says six more weeks of harsh Winter weather. I don't put any stock in this old folklore. One cloudy day wont determine the next 6 weeks weather. 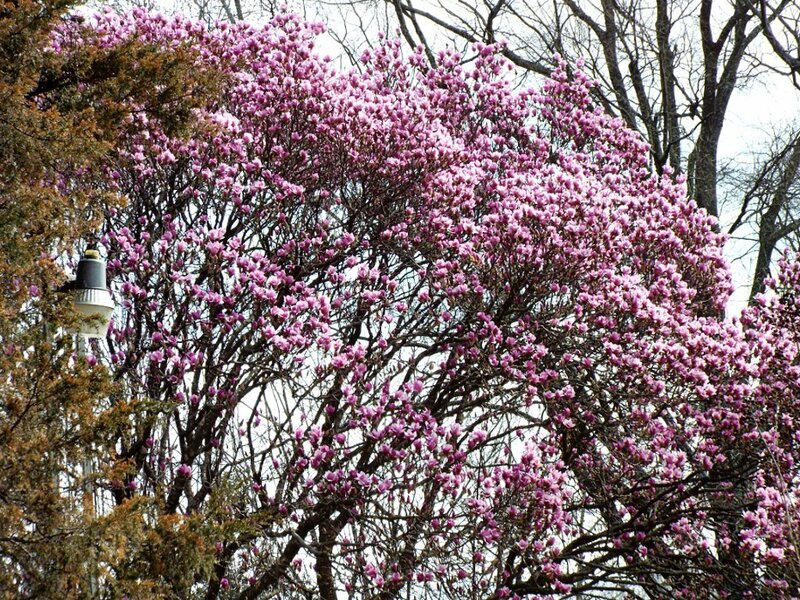 The pictured Magnolia is one of the earliest plants to bloom, and even moreso this year. This early display makes us feel good, but it's not necessarily a good thing. I had a beautiful Blue Peter rhododendron for 25 years. Then I lost it due to an early warm up. The next hard freeze caused the rising sap to expand enough to burst open it's trunk. It's a mixed blessing, seeing so much Spring color before it's time. It's a feast to our eyes, but it could cause devastation to people such as the strawberry farmer. Regardless of the ups and downs here and there, in the end, the laws that govern our Universe will keep the total picture on an even path. Spring is definitely on it's way, Y' all! As the song goes, 'What a difference a day makes'. Your comment about "what a difference a day makes" brings to mind my crepe myrtle trees as they are starting to bloom (I trim/thin but never chop them) and I know from times past that a cold snap around Easter is inevitable and it will most likely kill the new blooms and then it may be 4 to 6 weeks before new blooms appear. Some of my trees are 30 to 40 feet high (past my roof of 2 stories high) and people come by just to see them (when in bloom) so it saddens me but then they bloom again and I'm happy again. Yes spring is in the air. 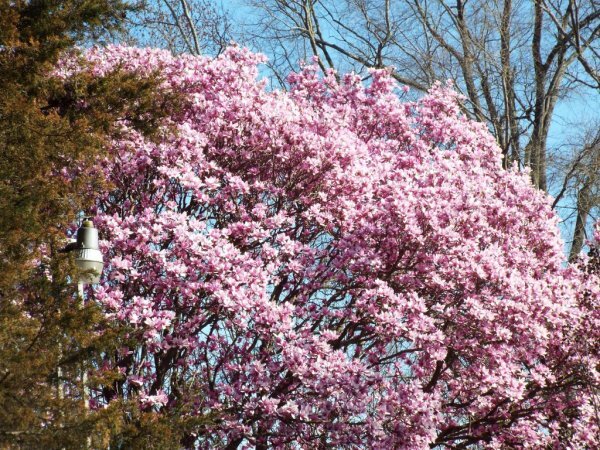 And just what type crepe myrtles do you have? The ones native to NC don't bloom til August.